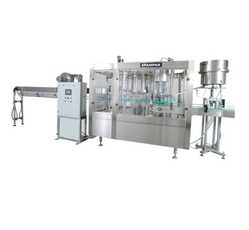 Manufacturer of a wide range of products which include automatic liquid filling machine, automatic viscous liquid filling machine, liquid fillers for packaging industry, liquid filler and semi automatic liquid filling machine. Brand Spheretech Packaging India Pvt. 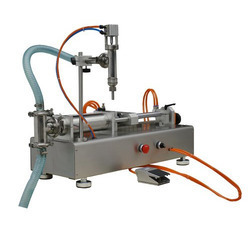 Ltd.
We offer a wide assortment of Automatic Liquid Filling Machine at industry leading prices. These fillers are available in four different head configurations, widely used in chemical and paint industries. Our fillers are highly appreciated for their dimensional accuracy, durability, and hassle-free working. We manufacture them by using the best quality stainless steel, latest technology, and advanced machinery, to ensure the quality. Our products are cost effective and can be adjusted very easily. 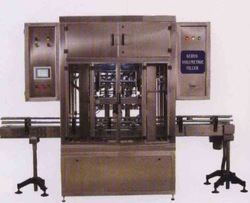 We are a leader in manufacturing and supplying of highly efficient Automatic Viscous Filling Machines. 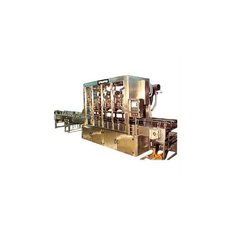 We are offering the wide range of Liquid Fillers for Packaging Industry. We offer a wide range of Liquid Filler which are high in speed for filling bottles. They are accurate and effective in performance. 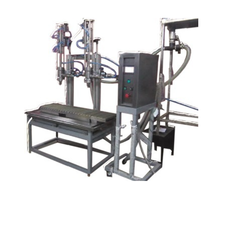 We are among the reputed names in the industry for manufacturing and exporting Semi Automatic Liquid Filling Machine.